As you are aware, our 15th Anniversary All Corvette Show was cancelled in 2018. The storm pretty much wiped out any chance for a ray of sunshine and the city fathers felt it in the best interest of all concerned that we cancel. Without a rain date, we had no choice but to look forward to 2019. So we are having our 15th Anniversary show this year. The 15th Annual All Corvette Gathering in Lancaster, Ohio will be held on Sunday September 8, 2019. The 14th Annual All Corvette Gathering in Lancaster, Ohio, held in 2017, was a huge success. Duff Parsons, the Executive Director of the Ohio Corvette Club Alliance said, If you missed the day, the weekend started off on Saturday, September 9th with a BBQ, Road Tour, and a Wine & Cheese Party for all attendees. The show started early Sunday morning September 10th. Hundreds of door prizes were donated by the Alliance member clubs, area merchants, and vendors for the show. Fifty-Fifty cash drawings were held throughout the day every time $200.00 worth of tickets were sold. Always a favorite, Stan "The Man" Ashton served as the DJ for this event. He had the oldies going all day long. Lancaster Mayor Dave Smith presented vendors with their commemorative plaque and presented the Alliance Board with a proclamation declaring the day as Ohio Corvette Club Alliance Day. A Proclamations for the Corvette Alliance from Governor John Kasich was also presented. Our T-shirt vendor designed a special design featuring multiple year Corvettes staged in Red, White, and Blue. They will again create a design that will make you want to add the 15th Anniversary shirt to your collection. 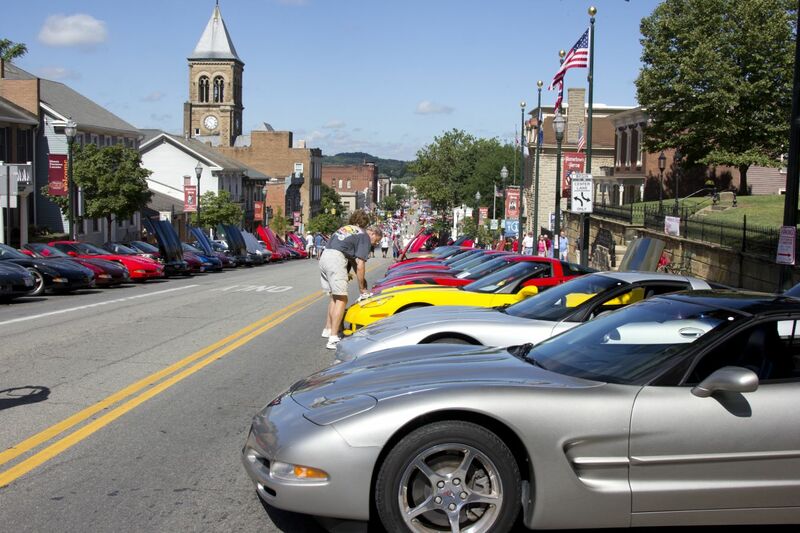 The seven-member clubs that belong to the Alliance represent nearly 500 Corvette owners from around the state of Ohio and West Virginia. Over $10,000 was raised this in 2017! Proceeds are always distributed to the Alliance charities following the show. We hope to see all of you at the 2019 Gathering! Will be held on the weekend of September 8, 2019!